David, 46, posted an image with his friend, Dame Barbara Windsor, 80, who was recently diagnosed with Alzheimer’s disease. Following her husband’s announcement in May, that Barbara, had been battling with Alzheimer’s, the former Eastenders actress has kept a low profile. 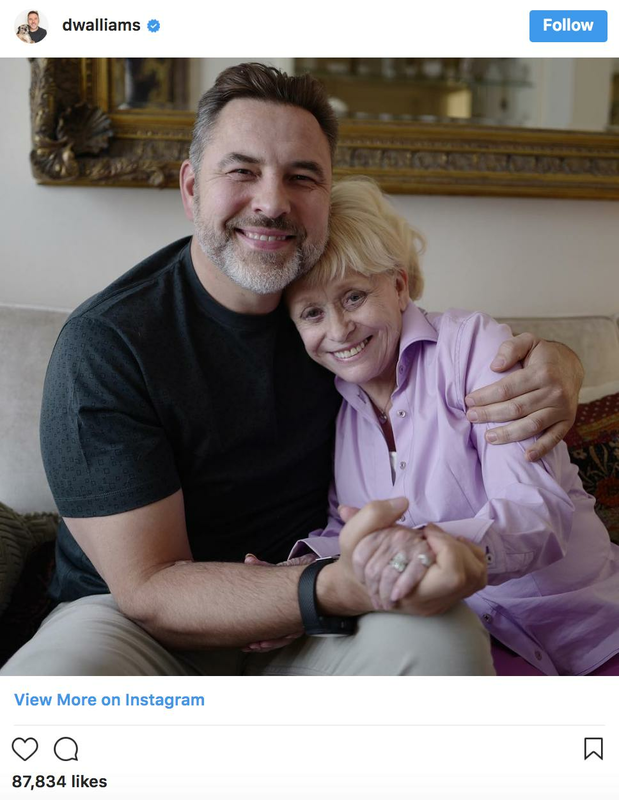 However, yesterday she was finally seen in high spirits as she cosied up to her pal, David Walliams in a sweet Instagram image on his feed. Barbara’s husband, Scott Mitchell, told The Sun that Barbara was given the news in April 2014. He decided to break the news to “help other families deal with loved ones who have this cruel disease”. He explained: "Since her 80th birthday last August, a definite continual confusion has set in, so it's becoming a lot more difficult for us to hide. Below David’s snap of himself and the actress famed for her Carry On films and her role as Peggy Mitchell in Eastenders, fans flooded the comments with touching messages of support.